TOYOTA CITY, Japan -- The disparities are stark between the petite workshop making Toyota’s futuristic Mirai fuel cell sedan and the massive assembly lines churning out its other cars. Only three Mirais creep down the glistening white floors a day, while 13 workers -- yes, just 13 -- in blue hard hats tighten suspensions, hem door trim and install center stacks by hand. Some even have time to stand around cross-armed. There is no cacophony of andon bells. Indeed, not even an andon line to stop the flow if problems crop up. There are stacks of parts racks, even a whiteboard, separating cars coming through. And at this back lot workshop, there is no conveyor even moving the vehicles. They are pushed between stations like apple carts. It may seem ironic Toyota Motor Corp.’s most advanced vehicle, a car that runs on hydrogen and emits water, has such a low-tech birth. But President Akio Toyoda says the Mirai embodies a return to roots, in attention to quality and pioneering spirit. Indeed, even though actual production of the Mirai began in December, Toyoda said he deliberately chose today, Feb. 24, to celebrate. That is because the day is the fifth anniversary of what many in the company consider its nadir. Exactly five years earlier, Toyoda was hauled before a U.S. congressional panel and given a humiliating grilling about his company’s unintended acceleration recalls. Since that moment, Toyoda pledged to rebuild the company with a back-to-basics emphasis on quality and top-notch product. 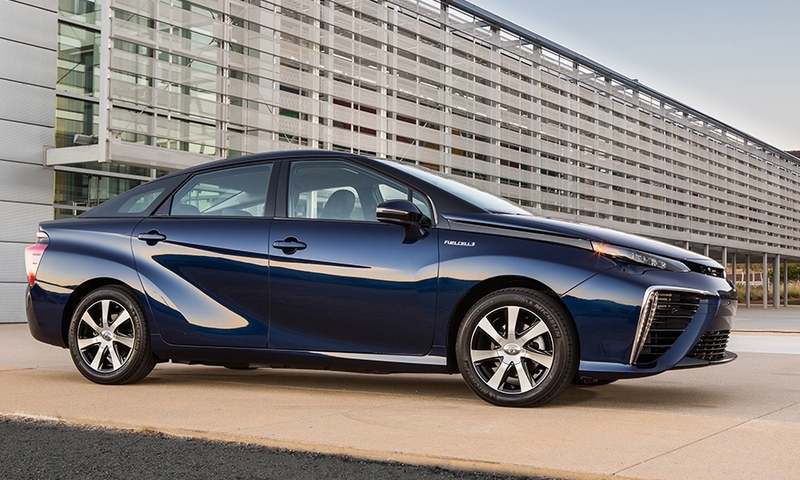 No plant epitomizes that better that the Motomachi plant now making the Mirai. The car is being hand-built in the same workshop that built the Lexus LFA sports car. The master craftsmen working its line were chosen for their car-building acumen, then hone their skills for two years building the Mirai. 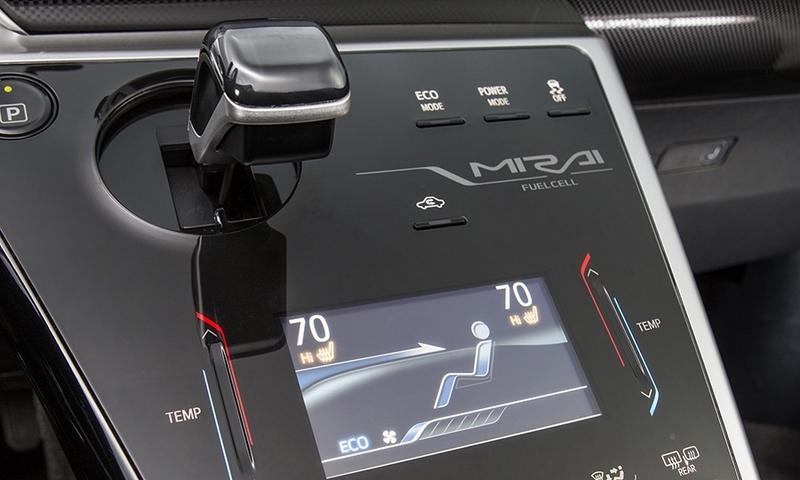 Yet, the Mirai’s small-batch, kid-glove treatment also underscores the challenges of introducing the new technology. That low productivity contributes to the car’s hefty price tag and testifies to the fact that demand is still in its infancy. Nevertheless, Toyota is already boosting production plans. Last month, it said it will make 2,000 vehicles a year in 2016 and 3,000 in 2017. When Toyota unveiled the car in November, executives said it would achieve cumulative sales of 3,000 by the end of 2017. The company plans to build just 700 in 2015, to feed sales in Japan, Europe and the United States. 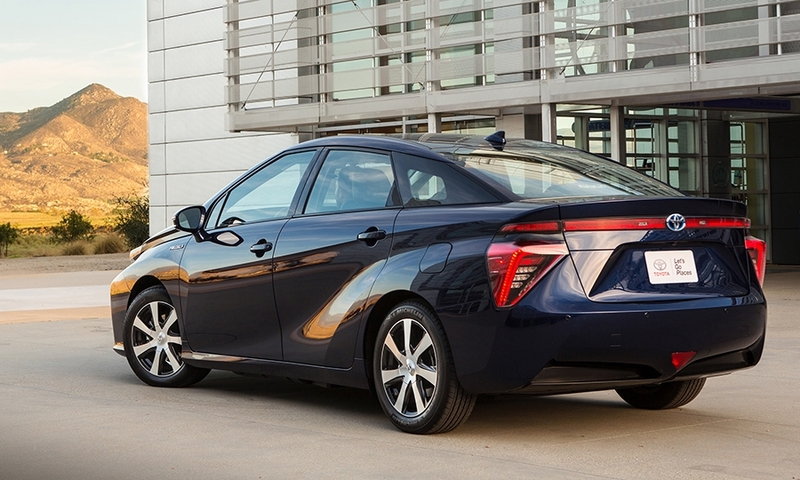 The Mirai went on sale in the home market on Dec. 15, and Toyota had booked 1,500 orders in Japan by Jan. 22. Sales in Europe and the U.S. begin by year’s end. In the U.S., Toyota will sell the Mirai for $57,500; federal and California incentives of about $13,000 will lower the price to consumers. Toyoda conceded sales would be slow in the startup. Selling more hydrogen cars is a chicken-and-egg problem. People are reluctant to buy the cars because there is no widespread refueling network. But there is limited refueling because so few people are buying the cars. 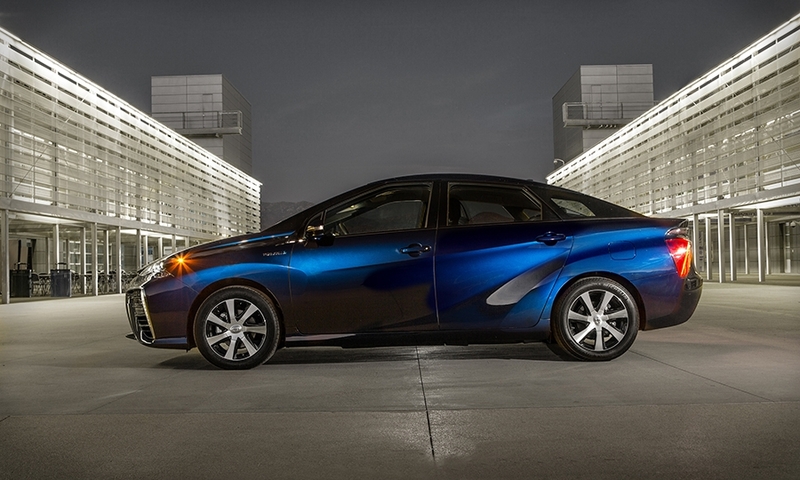 Toyota thinks both sales and infrastructure will grow if more companies made fuel cell cars. To spur adoption of the technology, Toyota said last month it will allow rivals to use some 5,680 of its fuel cell-related patent licenses without paying royalties. The gambit echoed a similar move last year by Tesla Motors Inc., which opened its patents to promote electric vehicles. 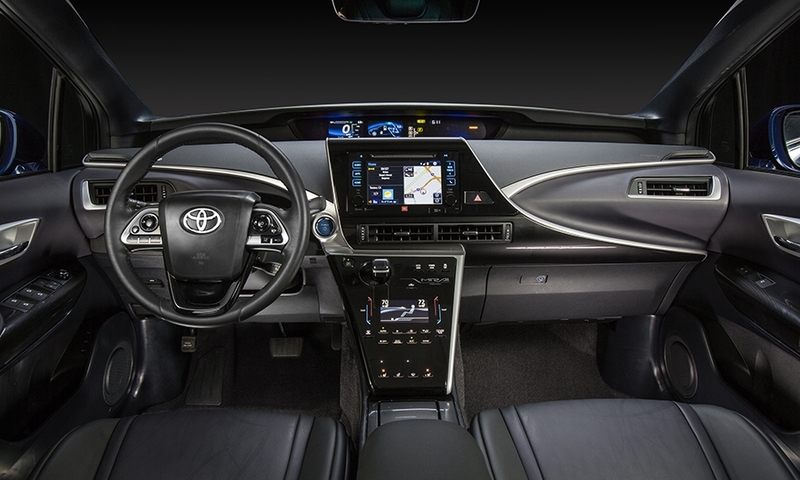 The Toyota will allow royalty-free use of its FCV patent licenses by those manufacturing and selling FCVs through 2020. The patents cover fuel cell stacks, high-pressure tanks and control systems. Toyota is also opening about 70 hydrogen station-related patents for installing and operating pumps. But plenty of other competitors are already on board with their own hydrogen fuel cell programs. Honda, which introduced its first fuel cell vehicle in 2002, is working on its third-generation vehicle. It aims to start selling that car globally in 2016. General Motors, which launched a test fleet of 119 hydrogen-powered Chevrolet Equinox crossovers in 2007, partnered with Honda last year to develop fuel cell systems and hydrogen storage technologies for 2020. Hyundai Motor Co. started leasing its hydrogen-powered Tucson compact crossover in California last summer. Its $499-a-month lease includes unlimited hydrogen refueling for three years. Mercedes-Benz, Audi and Volkswagen are also preparing cars. Toyota is making the Mirai at a secretive workshop in Toyota City where the Lexus LFA sports car was assembled. The LFA Works was tasked with hand building the limited-run car partly because of its craftsmanship and attention to detail. And also because the Mirai, with its dedicated platform and hydrogen-powered drivetrain replete with mammoth fuel tanks, is better built by hand than in Toyota’s ultraefficient factories. The Mirai’s drivetrain and other components are manufactured at Toyota’s Honsha plant in Toyota City, and the car is assembled at the nearby Motomachi plant, in the same workshop that made exactly just 500 Lexus LFA V10 sports cars from 2010 to 2012. Yet, even when production soars to thousands of vehicles a year, the workshop will be churning out just 10 Mirais a day. That is already ensuring a long backlog of orders.